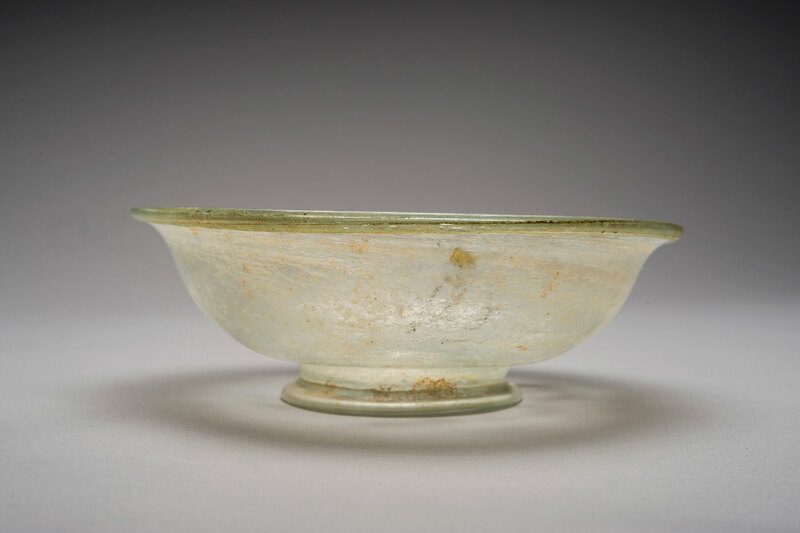 This transparent pale green glass bowl is hemispherical in shape and sits on a raised, tubular foot ring with a folded over rim. Bowls of this type are common to Italy and may have developed around 50 C.E. Many examples have been found at Pompeii and Herculaneum including some examples that were waiting to be unpacked when Mt. Vesuvius exploded in 79 CE. Isings type 42. Cf. Corning Museum 78.1.11 and Louvre S 2331.